Decadent Avenue is a 25,000 square foot showroom in Memphis, TN offering the largest selection and widest variety in fine furniture. Decadent Avenue has a network of white glove delivery partners that allow us to conveniently and confidently deliver nationwide. Mission: Decadent Avenue is committed to being the bridge between your home and the endless opportunities of creating your ideal home environment. 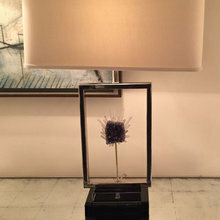 Decadent Avenue is a multi-dimensional marketplace that offers the best in luxury home goods at exceptional discounts. 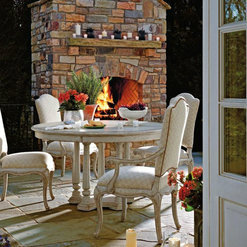 Products are thoughtfully selected by our professional home furnishings buyers. Our many long standing partnerships with manufacturers allow us to offer you the most highly regarded luxury brands in the home furnishings industry. Many times substantial savings are negotiated between Decadent Avenue and the manufacturer which allow us to pass the savings on to you. Decadent Avenue is committed to working diligently to offer you the best in quality merchandise and customer service. Decadent Avenue currently ships to anywhere in the U.S. excluding Hawaii and Alaska. 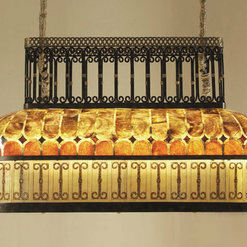 Offering a large selection of fine furniture and home decor. 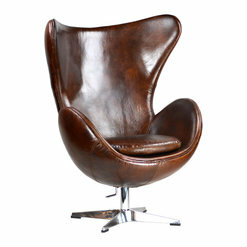 Decadent Avenue is a great place to purchase furniture at amazing prices. Karalie worked with me and was absolutely fantastic. She was on track with every detail and went the extra mile. I would definitely shop there again and highly recommend them. Thanks Karalie - You rock!!! My two sofas just arrived and I LOVE it! The sales team was extremely professional and helpful. Every one of my emails/phone calls were returned and answered in timely manner. Decadent Avenue had excellent price and superb service. I highly recommend this company to anyone looking to purchase mid to high end quality furniture. Thank you very much for the kind words! We are very happy to hear you love and are enjoying your new furniture! 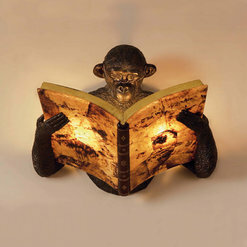 I bought the beautifully quirky Maitland-Smith monkey sconce from Decadent Avenue. I shopped around and they had the best price. And the customer service from Brandon was outstanding. He was faultlessly courteous, helpful and efficient, organising the international shipping for me so that the entire process was easy and stress free. I would definitely shop there again. Highly recommended. Thank you so much for the kind words! We look forward to working with you as well in the future. Thanks for being a great customer! 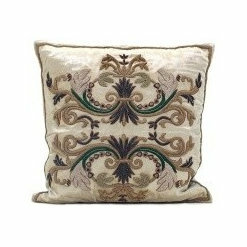 I ordered several pieces of furniture and lighting from Decadent Avenue from Hickory Chair, Bernhardt, Gabby Home, and Visual Comfort. I was helped with the design process from the beginning to the end and I couldn't be happier with the result. My home looks absolutely beautiful thanks to Decadent! Their showroom is absolutely beautiful and their design room has more fabric than you can imagine. There is definitely something there for everyone's style and taste. Thank you Decadent for making my home one I don't ever want to leave! My husband and I live in San Antonio, Texas and are frequent buyers of quality furniture such as Theodore Alexander, Maitland-Smith, and Jonathan Charles etc. 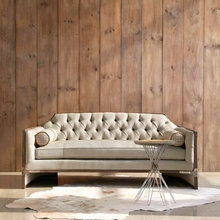 We found Decadent Avenue online when searching for high end furniture and from start to finish Karalie and Brandon earned our trust by offering us fair pricing, sticking to the stated delivery time frame and getting to us the fine furniture we appreciate. We have now placed 3 orders with them for white glove service and despite the fact that during one of the transports a chair arrived damaged by the delivery company, Brandon and Karalie made sure the damaged chair was replaced. We value good people in business as much as we value nice furniture and Decadent Avenue has proven to us that they are a quality team! 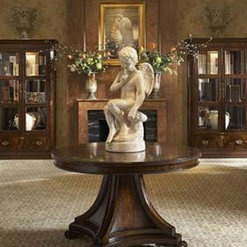 I ordered 4 pieces of Theodore Alexander furniture from Decadent Avenue. Not only did they have the best prices, they have excellent customer service and delivered before the due date which was fantastic. The furniture is beautiful as well. Thank you very much for the kind words and we are happy you are enjoying your furniture! We work very hard to provide an elite level of customer service and it's always appreciated to see a good review. 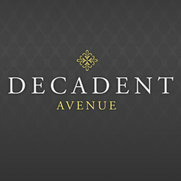 Shopping at Decadent Avenue is truly an opulent experience. 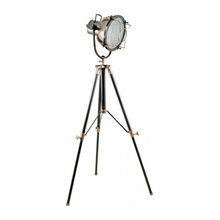 We found the finest of furnishings at wonderful pricing. Plus the staff from the front of the store to the back offered professional, courteous service. We especially enjoyed the exceptional design service offered by designer/sales associate Stephanie. She even came to our home for a complimentary in-home consultation. 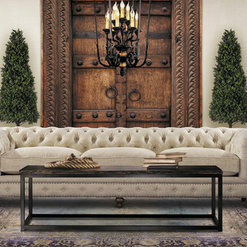 I had a wonderful experience ordering a beautiful Stanley sideboard from Decadent Avenue. Brandon responded quickly to my online quote request and with a better price than anywhere else I had looked. He answered all my questions and made me feel totally comfortable about placing my order. The sideboard arrived in perfect condition within the time frame promised; set up was extremely professional and went without a hitch. I wouldn’t hesitate to order from Decadent Avenue again: quality furniture at the best prices, with excellent customer service from start to finish. I purchased the lilies vanity- it was beautiful in the picture, but in person when delivered was even more beautiful-Exactly what I was looking for. High end, high quality piece. The quality of the piece is awesome, no particle board or junk . It's the real deal . The customer service is wonderful-I have never been treated so well, Karalie , and Brandon went out of their way to help me pick the perfect piece- and went out of their way to be helpful- not just the selling part either, they answered all and everyone of my questions. 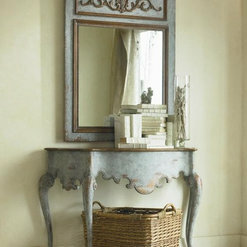 I just ordered the stool to go with my vanity- and received the same wonderful care from them . I also save several hundred dollars by ordering it through Decadent furniture . I am a returning customer . They are A1 all the way! Thanks you! Perfect! What a great way to buy high end furniture. 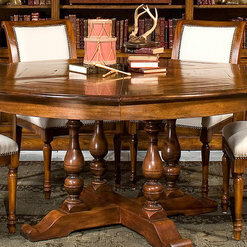 Same dining table at a local Scottsdale furniture store was $5500. $3500 at Decadent Avenue including excellent 5 week, 'white glove' delivery and set-up. Great overall experience. We'll be back! I came to Decadent Avenue looking for some bedroom furniture. I got the pleasure of working with Kathy. We went through the store and I pointed out various features of what I liked on the showroom floor. She then took me to the design center where we flipped through a few catalogues and I pointed out some items I really liked. We talked about price points, and Kathy sent me on my way, while she did all the work for me. A few days later, she called me and told me she'd picked some items out and wanted me to come look and see what I might like. Her selections were right on point, and suddenly I went from a hard decision because I didn't see anything I liked to a hard decision because there were several things I liked. The furniture I ended up ordering came in the timeframe the store had promised. The delivery guys were super nice. I live downtown where there's no parking, yet that did not bother them at all. They figured everything out, and handled the setup as if it was their own house and their own furniture. Seeing it in person, I could not be more pleased. It is exactly the style I was looking for and the price I wanted. Overall, the quality was excellent and the customer service from beginning to end was amazing. I've been looking for furniture off and on for a few years, but never have had the attention that Kathy gave me. She understood what I was looking for, and then did all the work to find it. I would definitely go back to this store, and if you do, ask for Kathy. I purchased several pieces including a high-end Maitland-Smith King bed from Decadent Avenue since they offer the best value in terms of price and service. They picked up my phone calls immediately, answered all my pre-sale questions, arranged order-to-make, delivery, follow-up very professionally. a year later, one of the mattress box beam gets loose and need repair. They sent technician onsite and fixed the problems - Free of Charge. I strongly recommend this company to everyone, especially high-end furniture shoppers. Owning good furniture with peace of mind! High Point, NC Spring Furniture Market Finds! Commented: What is the frame of this sofa made with, kind of wood, joints, etc?Hardwoods and hardwood laminates. Upholstery frames have a limited lifetime warranty. We have never had any frame issue with this vendor. 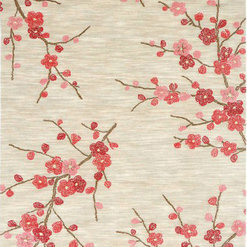 Commented: How can i get a swatch of this item?Hi Sandra, Absolutely, I will have a fabric swatch sent to you. Thank you. Commented: is the back of the sofa one solid piece of fabric? ThanksYes, it is. We apologize for the delayed response. We missed it. Our sincere apologies. Thank you. Commented: If I don't like it can I returnHi - Returns are possible but they are very expensive as there are re-stocking fees and shipping costs.